Expo day!! We drove up Friday to get our packets so we wouldn’t be up and on our feet a ton Saturday before the race. 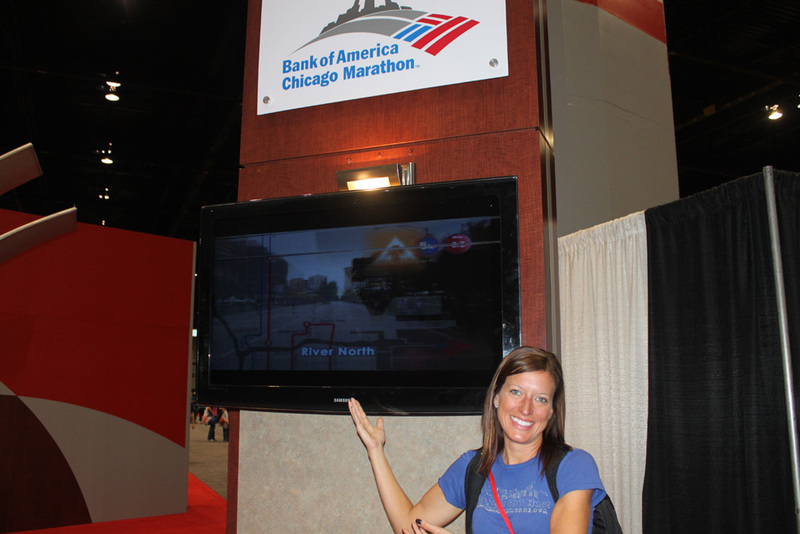 First stop at the Expo was to get some Chicago Marathon gear! Rob got a sweet vintage style track warm up type shirt and I got a running jacket. 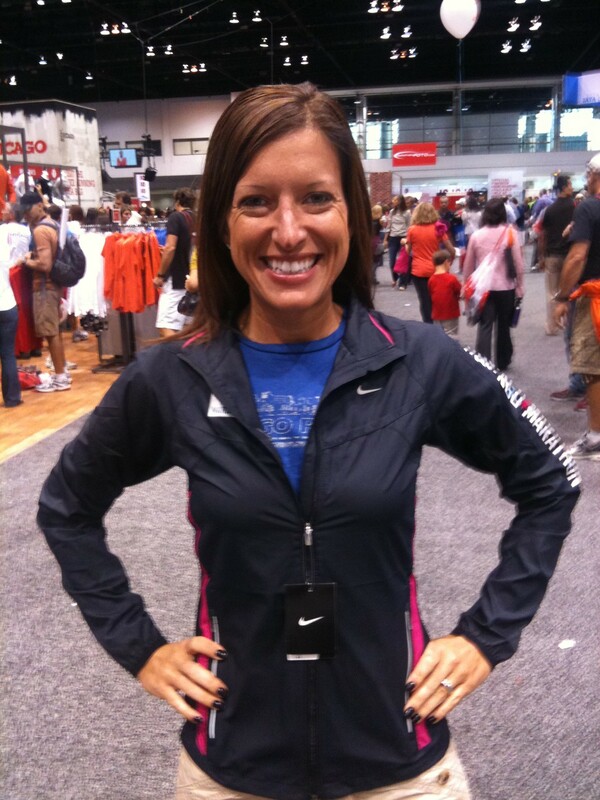 Me in my new Chicago Marathon jacket. 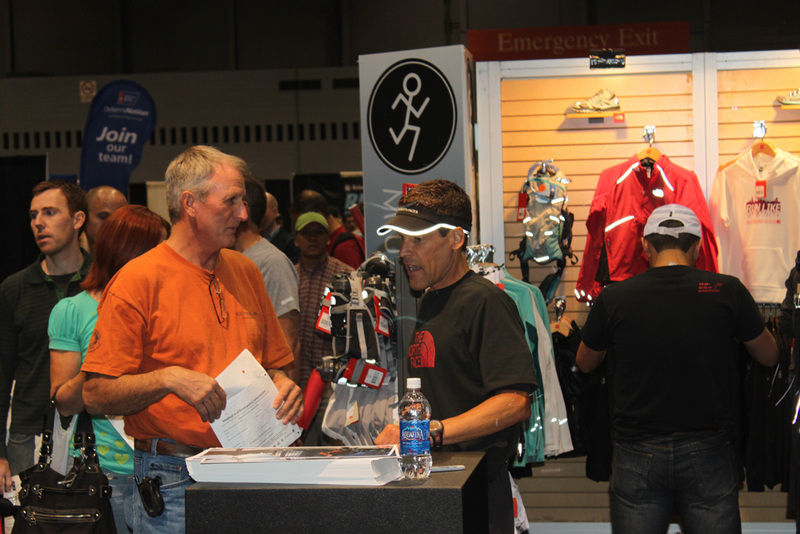 While shopping we saw Dean Karnazes doing a small signing. The line was already cut off, but not matter. He is speaking at our university Monday night so we hope to catch him then. After our gab session Rob and I continued checking out the Expo. 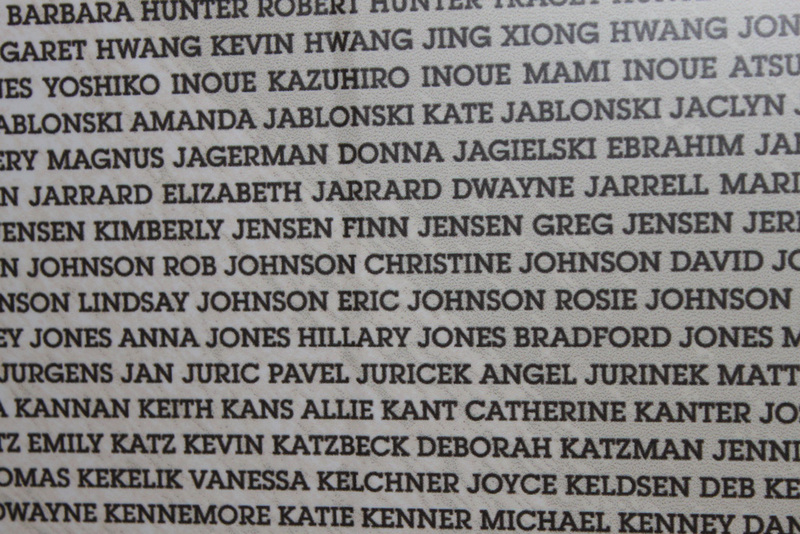 We found our names on the Nike mural and they were next to each other this year, very cool! The video that runs the course. 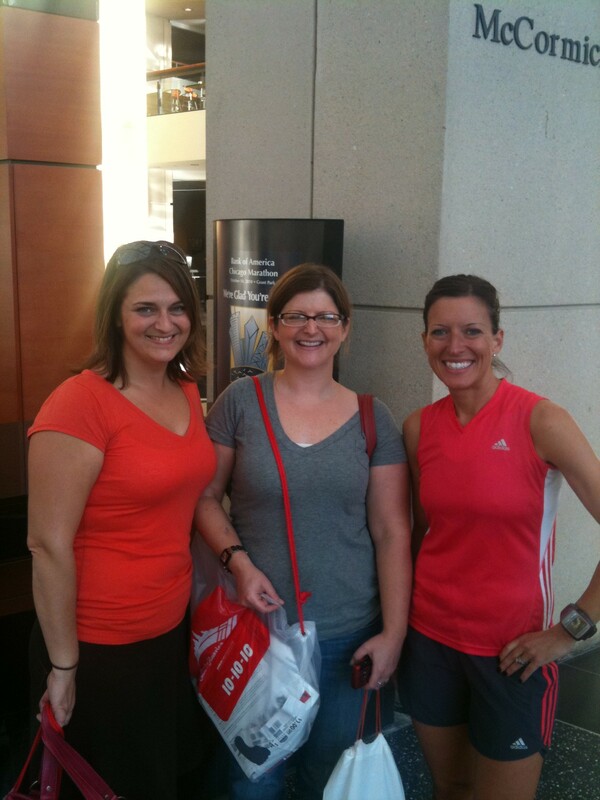 Before we left for our run we got to meet up with Nic!! 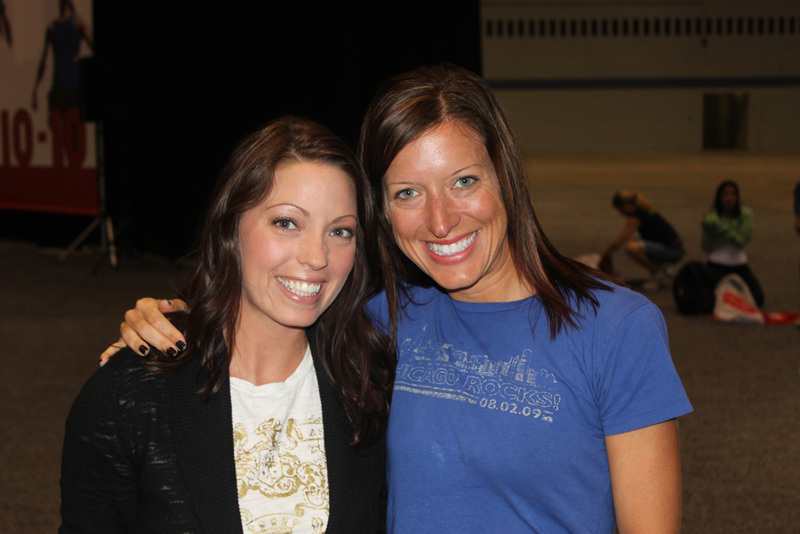 I haven’t seen her since we both met up before the Chicago Marathon last year! 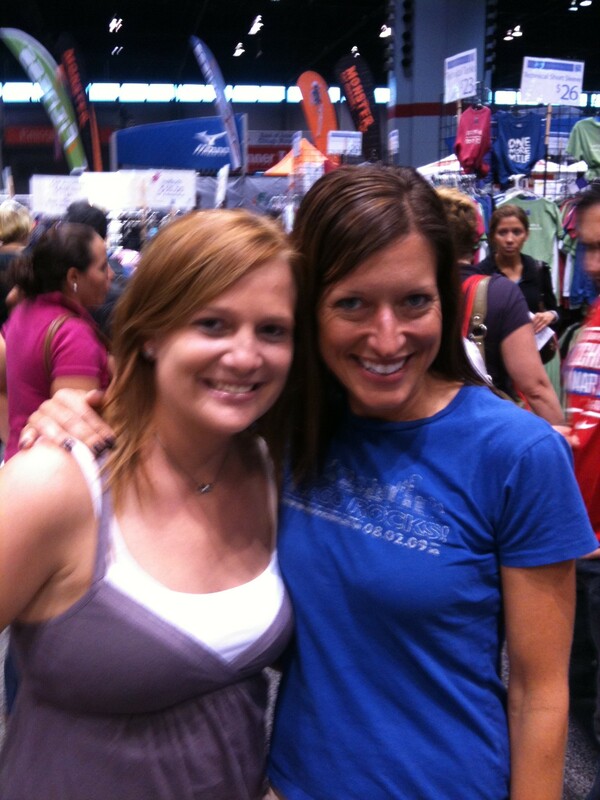 Nic is such a sweetheart and will be cheering on some friends this year and has a marathon coming up very soon! After a quick change of clothes it was time to get to 5 Miles Easy around the lake followed by 6x100M Strides. When we returned we were able to meet up with two gals from our hometown, Amy and Abby. 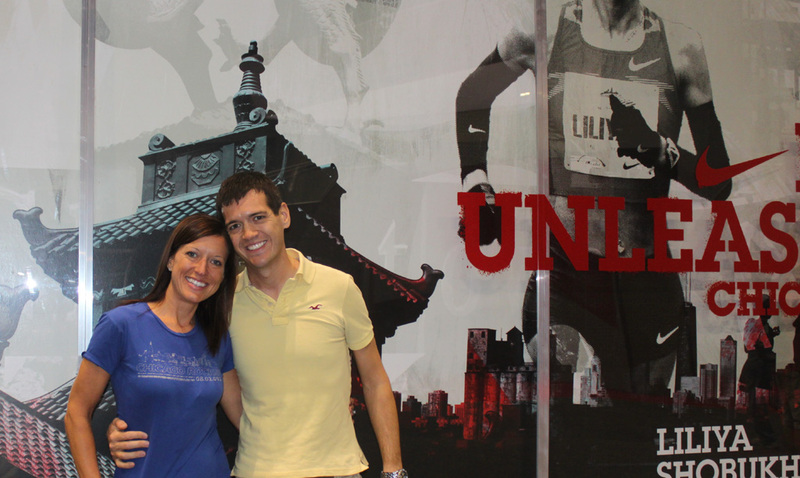 This will be their first marathon and we are so excited for them! I hope we get to see them at more races in the future! And that was the end of our Expo experience! It was such a fun day! I’m glad we got to meet up with so many great people and I hope we get to hang out post-race. 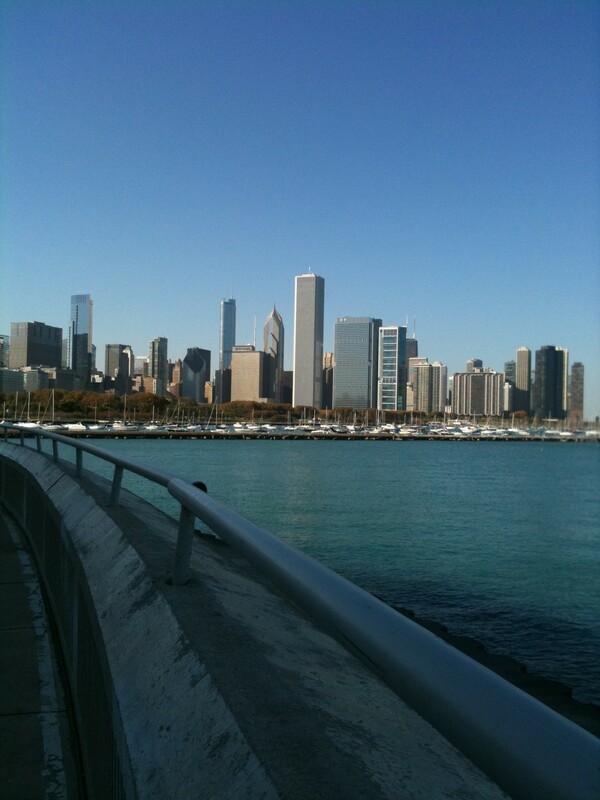 Good luck to all Chicago Marathoners!!!! Looks like so much fun! You need to come to the Dallas Rock N’ Roll Marathon in March! Then we can pal around. Love the jacket!! Love the jacket! I think they sold out because I did not see that one on Saturday.